A Security Token Service (STS) is a system role defined by the WS-Trust specification. A Web Service Client interacts with the STS to request a security token for use in SOAP messages. In addition, a Web Service Provider interacts with an STS to validate security tokens that arrive in a SOAP message. An STS arbitrates between different security token formats. The token transformation capability defined in WS-Trust provides a standards-based solution to bridge incompatible federation deployments or web services applications. Web service providers should not be required to support multiple authentication mechanisms even though they have to work with different web service clients. 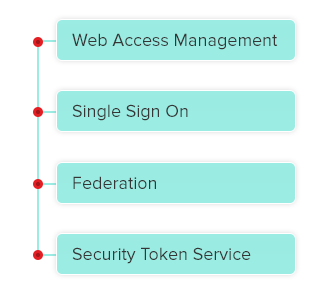 The SAML standard is well recognized and OpenIAM Security Token Service can validate SAML tokens to bridge different web services.